Ladies and Gentlemen, the karaoke competition has one last night in and the finals are finally here. Tuesday Night, one amazing singer is going to be walking away with an iPad Mini from Rock The Mic Karaoke and Pizza Pie Cafe. Your votes will decide the winner! You are not going to want to miss what has been over a month in the making. We have brought it down to the final 12 singers and Tuesday Night will be the final showdown. Make sure to bring your friends, and make sure to come to eat, party, cheer them on, and specifically, to vote. Thanks for all your support! The show starts at 8:30, the Sing-Off Starts at 10:30!!! Big News Fans: Karaoke Nights Are Back!!! And That's Not All... We Are Giving Away Prizes!!! This is going to be one of the best nights of karaoke we will ever have, and you would be nuts to miss it! Just to feed some of you college peeps, we are also offering the same deal we had last season too... $6 Buffets All Night! We got some Target and Walmart gift cards to give away, as well as a bunch of prizes from Pepsi and Pizza Pie Cafe. 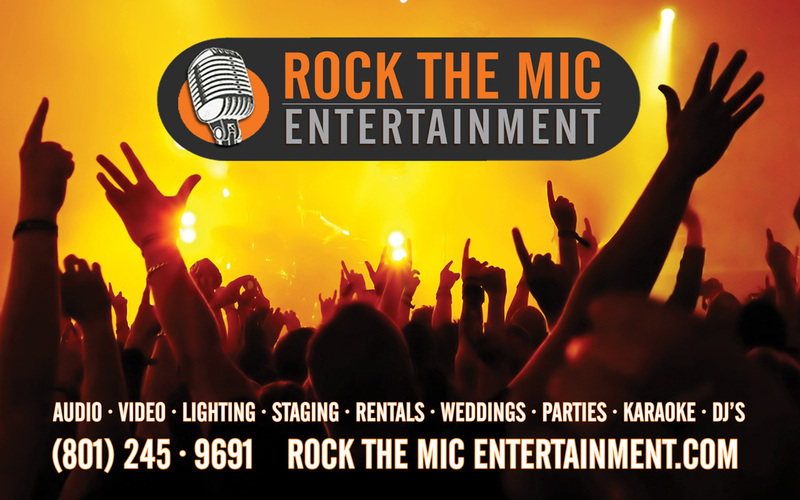 Come and get your sing on, and Rock The Mic with the best crowd that karaoke has to offer in the entire United States of America!!! This is the place to be for your weekly karaoke fix, so come Ready To Rock!!! Show starts at 9:00 PM and goes until Midnight. Deal: Pizza, Pasta, and Salad Buffet - $6 BUCKS No Tip Required!!! The Place To Be On Wednesdays in Utah County! The restaurant normally does well, but on occasion the place could be having a slow night for the dinner rush. I would challenge you to come in and do something one of these Wednesdays. Get a table at 8:30, grab some food, and then WATCH... just sit back and watch as the night unfolds. You will see us setting up for the show: speakers, screens, microphones. But don't get distracted. Watch The Door! You will see it almost like clockwork. The doors will begin to swing open more frequently and younger, more lively individuals will start to line up waiting to get a table. At about 8:45pm, the tables begin to fill, and the servers begin to move a little faster. The lights slowly dim and the music turns up. You will notice some dance lights flashing around, almost like you teleported into a nightclub. Music videos are on the screen near the stage. People crowd around the DJ booth to sign up to sing, and before you can even pay for your bill, you find yourself slammed in the middle of a loud, fun karaoke show the likes you have never seen. Show begins at 9:00pm. This is a challenge for only the biggest of skeptics, and you should prepared to watch the events unfold. - Singers should arrive early to get on the list, and it does get busy enough that multiple songs can prove problematic. - No cover charge (although it is strongly recommended that you order food). - Specials Every Week, for both food and drinks! - Flash photography and video cameras are encouraged, and we would love you to tag us in the pics! 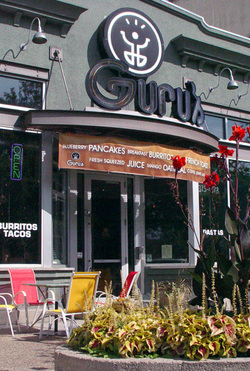 The Karaoke Show we have at Guru's Cafe in Provo is not like any other karaoke you have ever been to... Mostly because the restaurant itself is unlike any other place you have been!!! Your initial feeling as you open the door is one of wonderment. The decor is wild, colorful steel and metal in every direction. A sun, the moon with rotating stars inside of them. Giant pillars of steel with concrete table tops. There are even steel bushes extending out from the walls, giving you the feeling of some kind of metal utopia. After moving past all the interesting flare, you find yourself at a curved counter and met with a glimmering smile. You make your eyes down the menu to find all your favorite food with interesting twists that leave you thinking "I bet that would be good." And trust us: you won't be let down.